Forge Technology, Inc. supplies metal forming simulation software to industrial and academic customers in the United States and provides consulting, training, and technical support. We also have extensive experience in the real world application of a variety of forging equipment and have installed high quality presses, automation, and furnaces at forging plants throughout North America. We can help improve your part quality, streamline your forming process, and improve your bottom line. QForm is powerful software designed to simulate the flow of metal in a variety of metal forming processes including; closed die forging, open die forging, cold forming, rolling, and extrusion. It simulates production so the user can develop the sequence of operations to produce defect-free parts without requiring expensive shop floor trials. QForm is fast, accurate, and easy to use, and it provides tools to quickly identify and solve problems. Try the free trial of QForm and see for yourself! What separates QForm from the competition? What processes can be simulated with QForm? What problems can QForm identify? We can supply new, used, or rebuilt forging equipment at competitive prices. New Equipment: We work with some of the most well respected names in the industry and we have supplied companies throughout North America with fully automated turn-key forging cells as well as individual presses (specializing in screw presses), automation, furnaces and other related machines. Used and Rebuilt Equipment: Because of our extensive experience in the forging industry, we have unique knowledge of excess equipment inventory that may be available even though it is not on the market yet. We can also supply a wide range of used or rebuilt forging equipment. Very often rebuilt equipment will come with a warrantee. Let us know what your looking for and we can help you find it! Spare Parts: We can supply many hard to find parts for forging presses including leather friction belts, screws, nuts, and bushings for most makes of screw presses. We work with press rebuilders with extensive experience rebuilding many types of forging presses who can rebuild your presses or supply hard to find components. Forge Technology, Inc. can help improve your part quality, streamline your forming process and improve your bottom line by simulating your forming process. 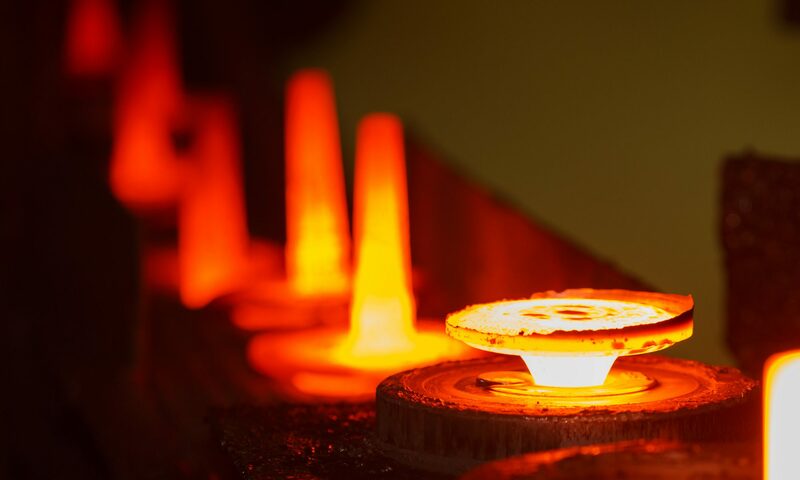 Whether it’s hot, warm or cold closed die forging, open die forging, upsetting, heading or extrusion, we have the expertise to run cost effective simulations for you that give you the results you need. We also have extensive experience in the real world application of a variety of forging equipment and we can help you determine what process is best suited for your particular needs and to help find the equipment for you whether it is through our suppliers or not. …or fill in the information below and we’ll reach out to you! Copyright © 2018 Forge Technology, Inc.